In IT, there are times for incremental improvements and other times when you just gotta start a revolution. At the 2012 Summer Olympics, the difference between the podium and obscurity in men’s high jump was a mere 10 centimeters. 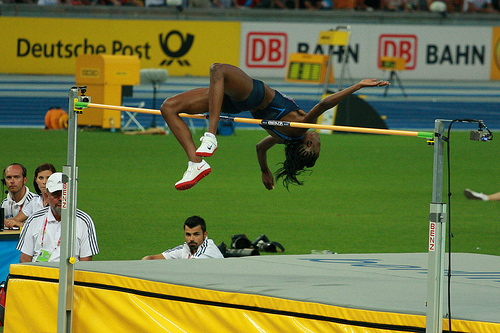 Dating back to the late 1800’s, high jump has been dominated by two major techniques: scissors jump or the straddle. Over the years, competitors have been obsessed with eking out incremental improvements in these two basic techniques. But that all changed when a tall, lanky student at Oregon State University realized that, ironically, his height limited his ability to be competitive with the conventional techniques. Richard Fosbury pioneered a radical new technique that involved a curved approach, back to the bar, and rotating in a “flop” like motion over the bar. At the 1968 Olympics, Fosbury forever changed the world of high jump with his unorthodox new technique, earning a gold metal and an Olympic record. From that point on, the Fosbury Flop has been the de facto standard, and the sport resumed its fixation on incremental improvement. When faced with the need for change, there are two choice: evolution or revolution. Small, incremental changes on the one hand, large, game-changers on the other. Continual Service Improvement advocates an incremental approach to improving IT services. It’s preferred because small, deliberate changes are easier to accomplish in most companies. People are less resistant if they don’t feel threatened, and have ownership in the changes. It’s said that a journey of a thousand miles begins with a single step. Followed by many more single steps. In time, a great distance has been traveled. One small step at a time. It’s a great approach, but there are times when more radical changes are needed. Most IT shops have evolved over the years, making minor improvements as needed. But there are times when, like Fosbury, you realize that you just can’t be competitive with current practices. It might be major technology changes like mobility, cloud services, and consumerization of IT. It may be audit findings, or a security incident that reveals outdated practices, especially if there’s public disclosure. Perhaps you’ve known bigger changes are needed. But improvement projects seem to always get out prioritized by mission-critical projects and put off to that mythical time when there will be more resources. Regardless how you got there, there are times when you need to look at the distance between where you are now and where you want to be. You must decide if it’s better to make incremental improvements, or if the distance is too great, and revolutionary change is needed. 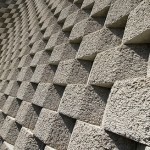 Incremental improvement can leave assumptions unchallenged. High jump had a land-on-your-feet assumption that was based on the sawdust-pit landing. When the sport introduced synthetic landing pads, no one considered using it to competitive advantage. The Fosbury Flop onto sawdust would have resulted in career-ending injuries. But when liberated from this now-legacy assumption, Fosbury was free to explore revolutionary techniques. Only you can decide when to use one over the other. You must take into account the complex mixture of company culture, business needs, and external factors that you face. Ideal when best practices exist. Fosbury’s 1968 Olympic gold was not without drama. As the crowd waited anxiously, the judges debated if Fosbury had violated the rules. In the end, history tells the story best. Continual Service Improvement is how IT pursues excellence. But you just might find yourself incrementally improving something that belongs in the history books. Challenge assumptions, and keep yourself open to revolutionary changes that can fast forward your organization to a better place. How about you? Have you ever started a revolution to stay competitive? Tell us your story!